Hours after a truck killed 84 people and injured over 100 in Nice as the city celebrated the Bastille Day, little is still known about the motives of the attacker, who is said to be a French resident of Tunisian origin. Here is what we’ve learned so far. 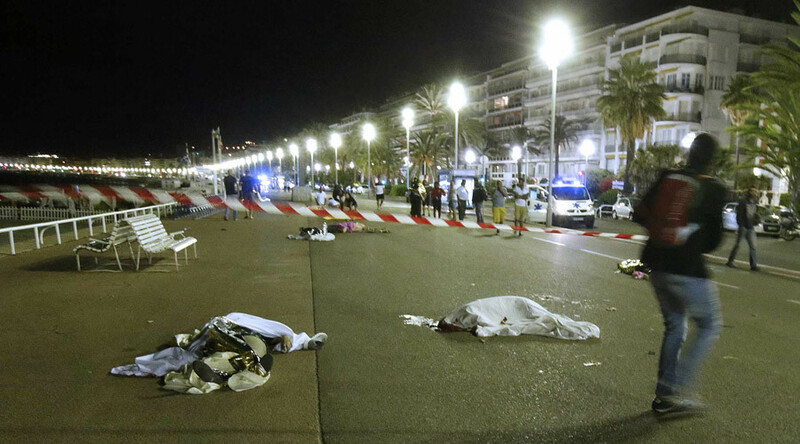 The truck broke through a barricade on Nice’s Promenade des Anglais at around 10:30 p.m. local time Thursday and plowed into the crowd of people gathering to watch the fireworks for the Bastille Day. The driver was able to drive 2 kilometers before being neutralized by police. The death toll has risen to 84 killed and at least 100 injured so far, with 18 in critical condition. The attacker’s ID was found in the truck, revealing that he was a 31-year-old French resident of Tunisian origin. The truck was said to be loaded with weapons and grenades. The police exchanged fire with the driver. Photos from the scene showed the truck’s windshield riddled with bullet holes and suspect was reportedly killed. According to an eyewitness the driver of the truck shouted “Allahu Akbar!” before the attack. Disturbing images emerged from the scene with mass of bodies on the ground and public running away in panic. Anti-terror investigation is ongoing, with French public prosecutor promising to reveal more details later. French President Francois Hollande addressed the public, describing the attack as a “monstrosity,” and adding that soldiers would be deployed to support security forces. He stressed that the attack was “terrorist in nature” and said that France’s state of emergency has been extended for three months. The president also vowed to reinforce air strikes on Iraq and Syria to battle the Islamic State. Follow RT’s LIVE UPDATES and special coverage to get the latest on the situation.